Slovakia - Armenia 0:4 (0:0), Euro 2012 Qualifier All Goals. 06 September 2011, Štadión MŠK Žilina, Žilina. 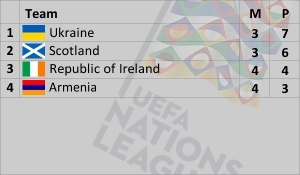 Goals: Movsisyan 57, Mkhitaryan 70, G. Ghazaryan 80, Sarkisov 90+1. Armenia vs Russia Euro-12 qualifier played in Yerevan on March 26, 2011. Despite great expectations on a victory from both sides the match ended with a goalless draw. 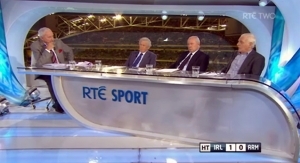 Irish RTE 2 TV report about Euro-2012 Qualifying match between Republic of Ireland and Armenia (2:1). Goals, interviews (including Trapattoni), pre-match, half time and post-match opinions. 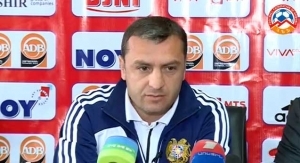 Armenian NT head coach Vardan Minasyan's interview for Radio Azatutyun. 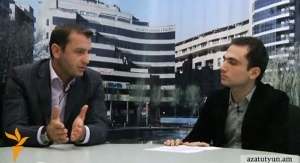 15 October 2011, Yerevan, Armenia. Special report on the Armenia National Team season celebration. Presidents of the country and the Football Federation joined the players to celebrate the best ever season in the history of the National Team. Russia - Armenia 3:1, Qualifiers 2012. 04 June 2011, Russia, St-Peterburg. Goals: Marcos Pizelli, 25 (0:1), Roman Pavlyuchenko, 26 (1:1), Roman Pavlyuchenko, 59 (2:1), Roman Pavlyuchenko, 73p (3:1). Andorra - Armenia 0:3 (0:1), Qualifiers 2012, 02 September 2011, Estadi Comunal, Andorra la Vella. Goals: Marcos Pizzelli, 35 (0:1), Gevorg Ghazaryan, 75 (0:2), Henrik Mkhitaryan, 90+2p (0:3).